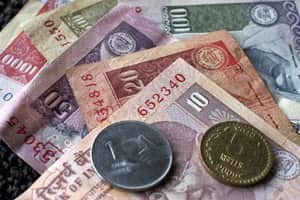 Mumbai: Private equity (PE) firms in India are offering multiple investment options across asset classes to their investors, known as limited partners (LPs), who are backing fewer fund managers to fetch better returns. Apart from raising PE funds, these firms are now raising mezzanine funds, private investment in public enterprises (PIPE) funds, real estate and infrastructure funds. Mezzanine funds typically invest in debt instruments with small exposure to equities. PIPE funds invest in stocks at a discount to the current market value. According to experts, this is a strategy that works in the longer term for attracting investments from global LPs. Last month, TexasTeacher Retirement System, a public pension plan of the US state of Texas and one of the largest LPs, announced a $3 billion investment each in Kohlberg Kravis Roberts & Co. and Apollo Global Management. The two firms would deploy the capital across different strategies such as debt, mezzanine and real estate, apart from PE. Texas Teachers is looking to fully restructure its private markets portfolio by 2015, reducing the number of relationships to a maximum of 70, down from 111 in September. “Multi-asset as a strategy gives a fund manager a clear differentiation factor in a competitive environment," said Mulye. In India, too, this trend is becoming visible. ICICI Ventures is raising an infrastructure fund and also a special situations fund in partnership with Apollo Global Management, apart from the existing PE, real estate and mezzanine funds. Today, firms can raise $300-$400 million funds in specific categories, according to Archana Hingorani, chief executive and executive director of IL&FS Investment Managers Ltd (IIML). “It is only now an Indian PE has seen such specific strategy-focused funds, which was not a norm five years ago." IIML, which has $3.2 billion under management is raising a $250-300 million PIPE fund. The multi-asset strategy is, however, not restricted to larger institutional funds. Even smaller funds today are looking to broaden their scope. CX Partners, founded by Ajay Relan, former head of Citi Venture Capital International, is looking to raise a $500 million mezzanine fund. “Funds of our size can grow either by increasing the subsequent fund size or grow horizontally across different verticals," said Relan. Increasing the fund size would mean increasing the size of the deals and larger ticket deals are more difficult to come by, said Relan. “In today’s environment multi-asset strategy could represent a good case as debt has a lower risk profile and the equity markets are volatile," said Jason Sambanju, managing director of Paul Capital, an LP. According to some investors, more multi-asset players are emerging because of the deepening of the market. “Today, there are foreign investors who have a specific focus on investing only in infrastructure or real estate or growth equity," said Hingorani.